land. 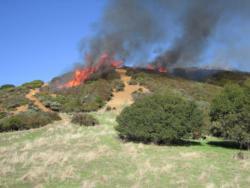 Periodic high-intensity fires can have complex effects on plant and soil nutrient dynamics. Nutrients are volatilized from live plant fuels and soils or deposited in a rich ash layer, which is highly susceptible to leaching. Immediately after fire, chaparral ecosystems experience a pulse of ephemeral flora from dormant seed banks, which almost entirely dies back by the third year after fire, thus not forming a long-term component of the shrubland community. While floristic studies have characterized this "charismatic" suite of herbaceous plants, few studies have examined the role this short-lived community plays in ecosystem nutrient dynamics and shrub community succession. We will test the hypothesis that post-fire ephemeral plant communities immobilize and contribute nutrients to low-fertility chaparral soils, facilitating the growth of common chaparral shrubs, such as Adenonstoma fasciculatum. In at nutrient-limited system such as chaparral, the effects of these fleeting plant communities may be non-trivial, influencing the vitality of mature shrubs and the long-term plant community composition. In this study we will introduce ten fall prescribed fires to investigate the role of plant functional groups in chaparral soil nutrient dynamics, establishing plots where we selectively remove (1) no herbs, (2) all herbs, (3) only nitrogen-fixing herbs, or (4) only non-nitrogen-fixers. This experimental manipulation will quantify the role of each plant functional group in immobilizing or contributing nitrogen to the system and preventing erosion. flowering of a plant. The timing of these events is critically connected to the environment the organism experiences, especially the climate. Phenological monitoring is thus an important method to observe the biotic effects of ongoing climate change. 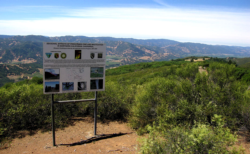 By monitoring the phenology of oaks and oak woodland associates across the landscape at the Hopland Research and Extension Center, we are collecting data that can be used to address pressing questions about plant resources to climate change and help predict the magnitude of ecological shifts. This research uses public participation in scientific research, training volunteers to monitor plants using protocols developed for citizen science by the USA National Phenology Network and California Phenology Project. Data are pooled with other California Phenology Project sites in the state, creating a broad geographic database of phenology through time. are some of the more typical approaches employed in IPM. However, other approaches, such as the inclusion of native reseeding in IPM practices holds particular promise for invasive weed control. We propose to compare different IPM treatments to control the density of barb goatgrass and medusahead at the Hopland Research and Extension Center. 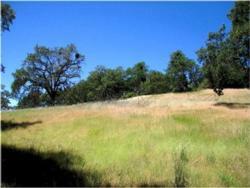 The treatments include targeted grazing, two types of herbicide, and seedling of desired (forage and native) species. We expect coupled treatments to provide more effective control of these invasive annual grasses, than any treatment individually. Further, we expect that multiple treatments deployed within a single season will prove more effective than multiple treatments deployed across seasons. 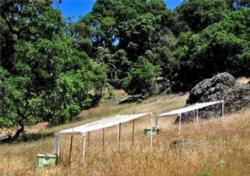 This decade-long study consists of core experiments carried out in 4 different sites in northern California, to test and compare successional theory vs. assembly theory in communities recovering from disturbance. The first is a study of priority effects in perennial grasslands and involves planting native perennial grasses, native perennial forbs, and annual exotic grasses. Preliminary findings are that native grasses had far lower success when planted with invasive annuals than when planted along, although this reduction was ameliorated by planting the natives 2 weeks prior the invasives. Across 3 sites, there were significant differences in a) overall native cover, b) response of natives to competition, c) strength of the temporal priority effect, and d) degree to which supplemental watering reduced the priority effects. These results reveal the strong multilayered contingency that likely underlies even relatively simple communities. 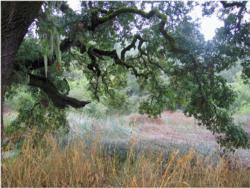 The initial purpose of this study was to explore the formation of ecotypes in blue oak. 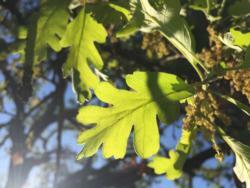 Acorns were collected from 27 populations of blue oak throughout the range of the species in California. Results to date suggest that genetic variation in blue oak is better described as ecoclinal (gradual variation along environmental gradients) rather than ecotypic (abrupt variation along environmental gradients). Statistical significant difference in growth, timing of bud break, nutrient uptake, and transpiration rate occurred among certain population, but these variations did not suggest ecotypic differentiation.  Current research involves the use of molecular techniques to distinguish the various populations. Plot populations are currently maintained as a source of tissue for molecular analysis and to observe response to potential drought or above average precipitation over the next 7 years. This project is studying microbial interactions within soil types to assist in predicting ecological reactions to climate change. From soils collected at Hopland, we conducted a greenhouse experiment using Avena fatua over two growing seasons at UC Berkeley. We found that at the end of the first growing season, a greater amount of carbon was allocated to the soil when plants were grown under elevated CO2. The microbial community associated with the rhizosphere of A. fatua undergoes a succession as the plant grows, senesces, and dies. Analysis of samples collected during the second growing season will reveal the impact of rhizosphere microbial communities on litter decomposition under altered CO2 regimes. Soil collected at Hopland in autumn 2013 is being used in experiments within UCB’s environmental plant isotopic chamber facility to investigate the mechanisms of functional succession of microbial communities under changing CO2 concentrations. 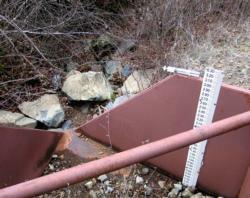 Riparian management is one of the most controversial issues facing landowners in California today. This project is intended to extrapolate 1) the importance of riparian zones to non-fish vertebrates, and 2) the importance of managing specific riparian habitat elements for the benefit of terrestrial obligate species. 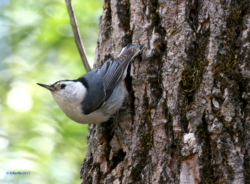 Because birds are readily visible and recognizable by most members of the public, they were selected as the taxa for long-term monitoring. Avian presence is compared to riparian vegetation structure and composition. Subsurface soils (>30 cm) store more than half of global soil organic carbon and play an important role in global carbon cycle feedbacks to climate change. The processes governing soil carbon stabilization vary with depth; however, most research has been limited to the top 20-30 cm or to root-free incubation studies. We will study the effects of warming and root inputs on native soil organic carbon decomposition throughout a soil profile to a depth of 1.25 m. This will be one of the first experiments to study responses of deep soil organic carbon in situ. Results will enhance our understanding of deep soil organic carbon stabilization mechanisms and thus improve predictions of deep carbon’s fate in our changing climate. This project continues investigation of chaparral plots subjected to prescribed burning or mastication in 2001-2002 on HREC and on the BLM South Cow Mountain Recreation Area. Hypotheses to be tested include 1) There will be a difference in shrub fuel loads between mechanical (masticated) and prescribed fire treatments 10 years post-treatment; 2) The initial observed increase in invasive grass species will have declined in the masticated treatment plots as shrub cover has increased; 3) Differences in regeneration life history strategies (re-sprouter vs. obligate seeder) will still affect post-treatment community composition; and 4) Compared to controls, treated chaparral will have lower dead and live fuel loads. 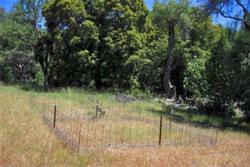 Results will be useful to land managers and ecologists interested in shrubland ecosystems. 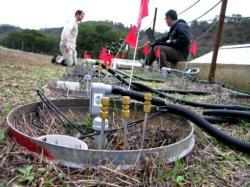 Nitrogen control many aspects of ecosystem responses to global environmental change. It exhibits very complex cycling, with gaseous N production via soil bacteria (denitrification) among the most vexing of all N cycle transfers. This study will combine nitrogen isotopic measures of soil, plants, streams, and rainfall deposition among several watersheds at HREC to constrain N balances across contrasting ecosystems, including grassland, chaparral, and oak woodland that have been exposed to myriad disturbances. Measurement over several years and resulting conclusions will have implications for improved models of nitrogen balances. This will build toward testing general theories related to global biogeochemical cycling of N across Earth’s terrestrial ecosystems. This project investigates the dynamics of the competitive balance between exploitative range weed species and their resident communities under predicted climate change scenarios. Climate change induced by anthropogenic greenhouse gases and biodiversity loss due to biotic invasions are both major drivers of global change. The floristic province of California is one place where these two drivers will likely have synergistic effects on loss of biodiversity and ecosystem services. Futhermore, a changing climate has been shown to have variable effects on exotic species, and may make management of those species increasingly challenging. Range weeds that exploit resources underutilized by the native community will be the most critical to manage, particularly in the context of reduced water availability. This project focuses on 3 of the most noxious, late-season, rangeland weed species: medusahead (Taeniatherum caput-medusae), barbed goatgrass (Aegilops triuncialis), and yellow starthistle (Centaurea solstitialis). Medusahead and barbed goatgrass both have a unique spatial aggregation pattern that is likely an important component of their invasion strategy. A changing climate may further complicate the influence of this spatial invasion strategy on resident communities, but little research has been done regarding the effects of climate change on range weed success. Understanding the role of patchiness in promoting weed growth and persistence in the context of climate change will be critical for ecologists and land managers with goals of manipulating the dynamics of a community to mitigate for invasions of these noxious weeds, which have been notoriously resistant to management efforts. 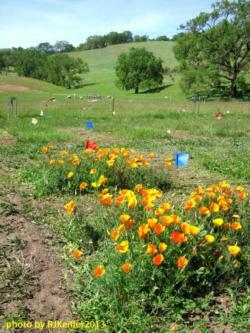 This experiment at Hopland will be one of more than 40 replicated experiments in the Nutrient Network (NutNet). One goal of this project is to contribute towards a general mechanistic understanding of the relationship between productivity and diversity and its dependence on environmental factors. This research will also fill a gap in our understanding of the generality of multiple resource limitation of plant productivity and its consequences for other trophic levels. At the same time, this experiment will allow us to perform stand-alone research addressing questions of multiple resource limitation in California grasslands. In most ecosystems, litter senesced at the end of the growing season is assumed to be the main source of carbon and recycled nutrients. However, experiments conducted by Eviner and Vaughn at HREC demonstrate that self-thinning of grass seedlings provide N and C inputs that are similar in magnitude to the C and N derived from senesced litter. In the late spring, 70% of aboveground plant N is retranslocated from senescing litter to seeds. Over 90% of these seeds germinate in the fall, and these seeds and seedlings likely take up and store N during the early rains, when a significant amount of litter-derived N is leached from the system. Intense seedling competition through the growing season results in mortality of approximately 75% of the seedling, resulting in a steady release of highly labile C and N. Since seedling density largely drives seedling thinning, shifts in seed density (through management- or environment- induced changes in seed production, or density of seeds planted in restoration) likely have large impacts on plant growth and nutrient cycling. 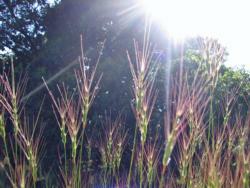 Similarly, seed granivory’s impact on seed density can have strong impacts on the grassland community and ecosystem. This experiment will manipulate seed density to determine the impacts of seed density on plant density, growth, size, and fecundity, as well as nitrogen cycling and leaching throughout the growing season. In addition, a set of seed density manipulations will occur in rodent exclosures, allowing assessment of the impact of seed granivory on plant and soil dynamics.